One of my favourite times each month – the opportunity to guide a few families through a local woodland in the Chilterns. Blessed with wonderful sunshine, it was a lovely May afternoon to be exploring Penn Woods. 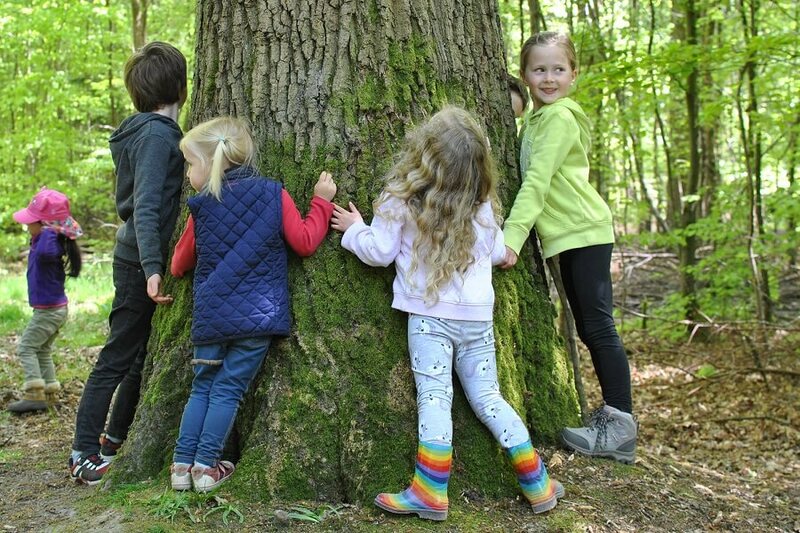 Managed by the Woodland Trust, it is one of the largest ancient woodlands in the Chilterns Area of Outstanding Natural Beauty (AONB) totalling over 435 acres! We started our woodland walk from the church car park – heading out along the main foot path past the beautiful flint clad church and the newly installed Woodland Trust signage, welcoming visitors to the woods. Our first stop, stinging nettles – a plant that so many fear and yet, it wasn’t long before everyone was keen to look at them closer, especially the children. Having demonstrated how to pick them without getting stung, I quickly showed how to juice the doc leave, the green liquid being used to relieve the inevitable stings! Many of the children were keen to try, the younger ones being guided to the doc leaves and the older ones picking nettles and then applying doc! My favourite tree, the mighty oak. I love it’s strength, the way it spreads its limbs out wide, reaching out across the sky. There’s the deep furrows in the gnarly bark and the beautiful curvy leaves that look like clouds as you hold them against the sky. A wonderful tree and great to see the children giving it a big hug. We spent time looking at the many beech trees. Most of the buds have burst open to reveal their soft new leaves, oval in shape with a little tail and hairy around the edges. They are good to add to a woodland salad and a few were sampled by the children and their parents. There was excitement around the pond, as one-by-one many tadpoles were spotted in the water, and then fascination with the water boatmen, as if by magic, they were skating across the surface of the pond. 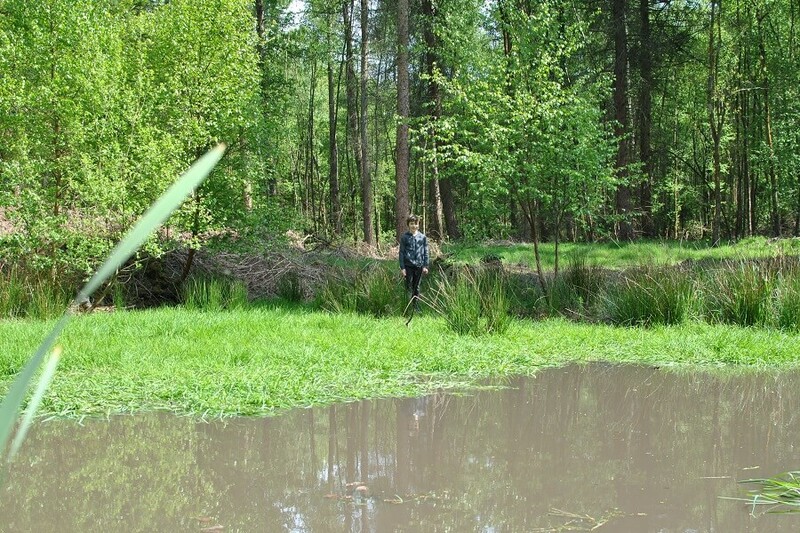 Whilst some of the children explored the other side of the pond, keen to get closer to the waters edge and find routes that would just about support them, we climbed across the newly formed log-jetty. It was more solid than before, with the end staked to hold the logs in place. Still we didn’t want the children falling in – it’s not that deep but they would have got very muddy (none this time). One of the large western red cedars had fallen, not far from the pond, it had lost a huge part of its trunk which had crashed down on the surrounding trees. The children were quick to spot an opportunity for climbing and enjoyed playing along the long branches now just a foot or two above the ground. Here was a great opportunity to engage our sense of smell to recognise this cedar – the foliage was crushed and the citrus smell revealed, just one of the ways to get to know this wonderful tree. Western red cedars have with a deep red-brown bark that is relatively soft to the touch, almost sponge like, a deep green foliage, and they tower above other trees, like a lesser version of the great American sequoias. 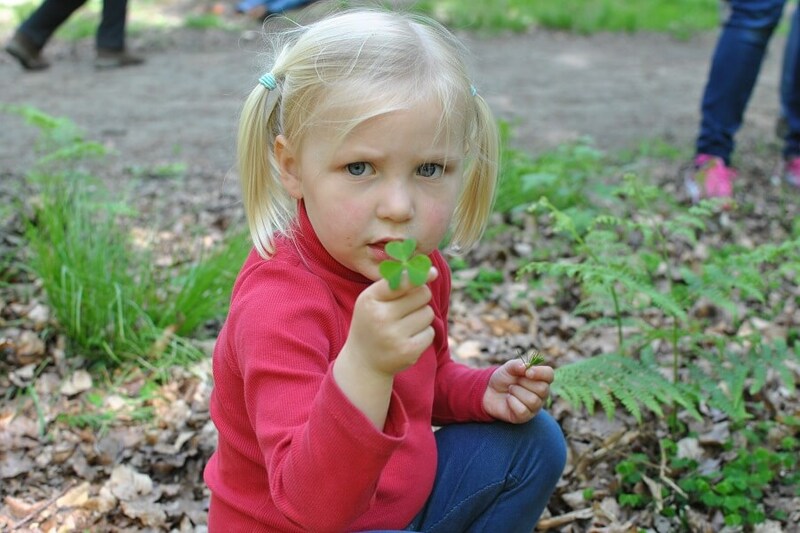 Identifying plants – checking that it’s wood sorrel before eating! On our return journey through the woodlands, we spent time getting to know the lovely larch – it’s foliage in little tufts, that are soft to touch. Unlike the spruce, fir and pines, the larch looses its leaves in winter, leaving the characteristic little stubs along the twigs. And then in an opening along the woodland path, there was an abundance of wood sorrel. Another opportunity to engage our senses. Many of the children recognised it’s shape as being similar. We carefully examined the plant, looking at the three heart shaped leaves and the lovely white flowers, with faint pink lines within. 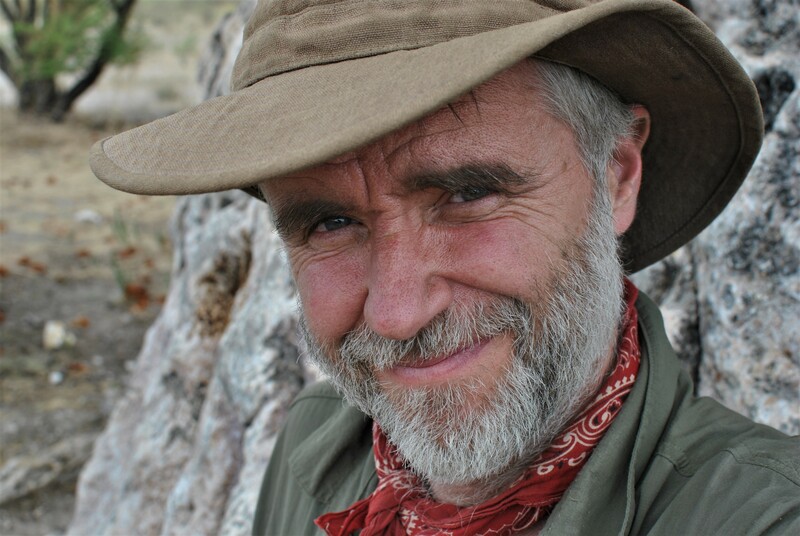 Then it was time to taste a few – first checking each one was the correct plant and not eating to many, just in case the oxalic acid (found in many plants) unset the stomach – moderation is a good thing! 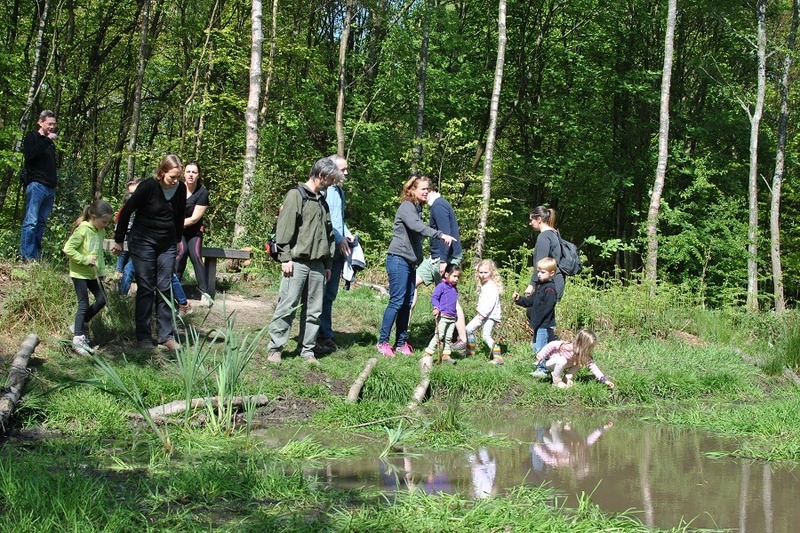 Thank you to the families who join me on this lovely May walk in Penn Woods and for granting permission for a few photos – much appreciated. 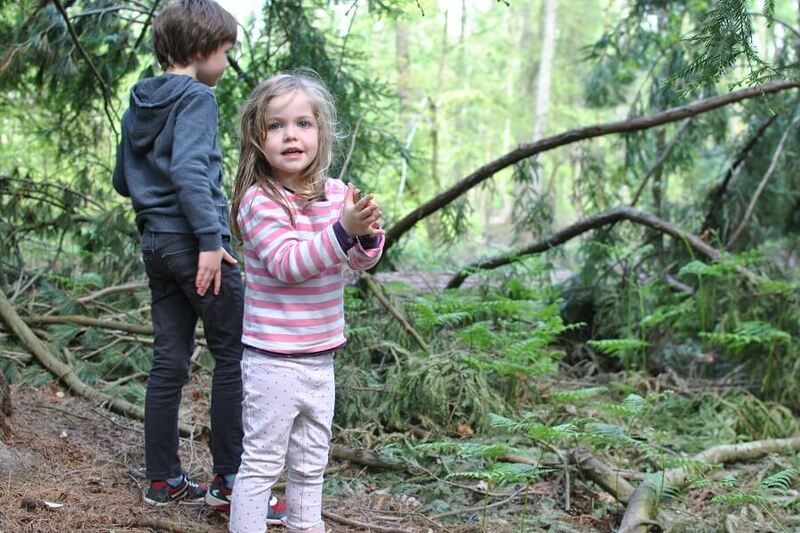 If you’d like to join one of my family friendly guided woodland walks with your family, please check future dates and register here!